Biryani is a splendid dish among the rice dishes of Indian cuisine, and is served on most of the occasions. This is one of the dish that comes first to our mind when we think of a rice dish, which is rich in flavour. 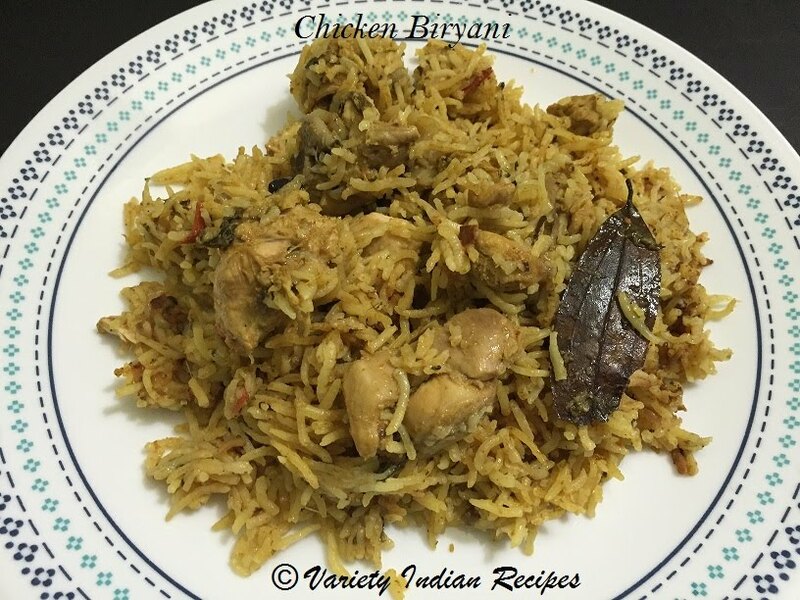 Chicken biryani is a rice dish flavoured with spices and chicken giving it a rich aroma and magnificent taste. In a bowl take biriyani masala, 2 table spoon curd , a pinch of turmeric powder, 1 table spoon salt and mix well. Add the chicken pieces to it and allow to marinate for half an hour. Wash and soak rice, 1 cup rice : 1 and a half cup water ratio for an hour. Take oil in a pan, add cinnamon, cloves, cardamom, bay leaf and saute. Add the mint leaves, coriander leaves and green chillies and saute well. Add onions and saute until they are slightly brown. Add tomatoes and saute, then add turmeric powder, chilli powder and saute until the tomatoes are soft. Now add the marinated chicken and saute well for 5 minutes. Add curd and stir well, allow the chicken to cook well with a closed lid. Once the chicken is 3/4 th cooked, add the rice (along with water) and stir, add the required amount of salt and allow rice to cook. Remove from heat, add ghee, garnish with coriander leaves and serve hot with onion raitha.